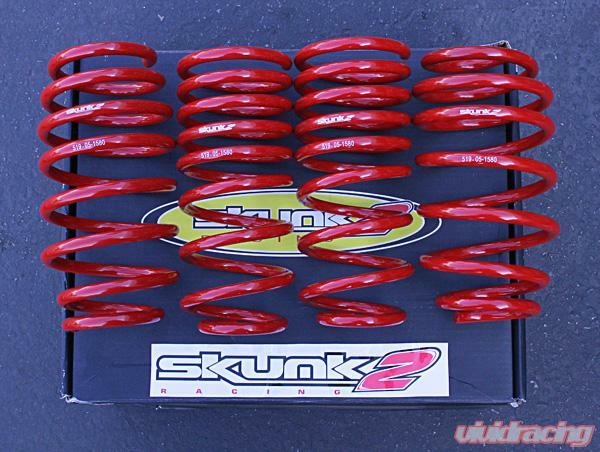 Skunk2 Lowering Springs are designed to dramatically improve handling performance and driver feel by significantly increasing corner grip and reducing body roll. Skunk2 springs are CNC-wound using the highest quality SAE9254V spring steel, shot peen stress relieved, and corrosion protected using phosphate and powder coatings. Each spring is designed to optimize the balance between performance and comfort. 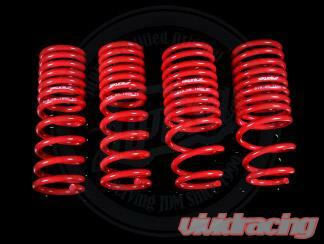 The result is a spring that offers racecar like handling, yet maintains smooth and comfortable ride characteristics. 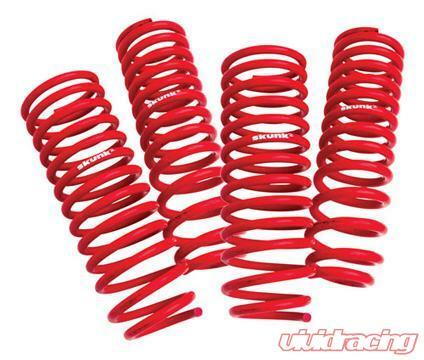 Skunk2 Lowering Springs can be used with factory or aftermarket shock absorbers and look great on vehicles with stock or aftermarket wheels. Average drop is approximately 1.5��_ - 1.75��_. 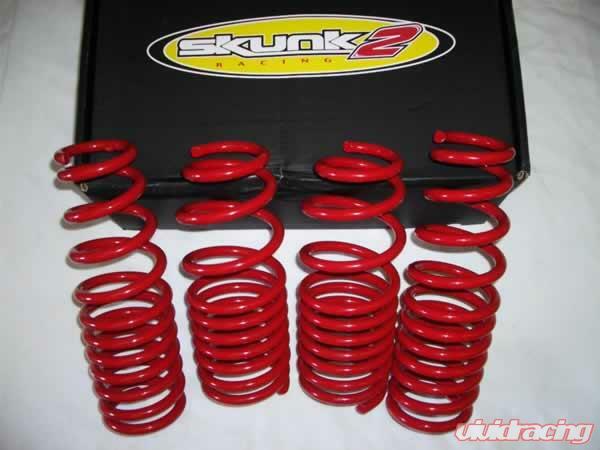 When applicable, we recommend using Skunk2 Lowering Springs with Skunk2 Sport Shocks and other fine Skunk2 suspension components. Front Drop: 2.25" Rear Drop: 2.00"